12 Ways to Eat Kale, One Guide! 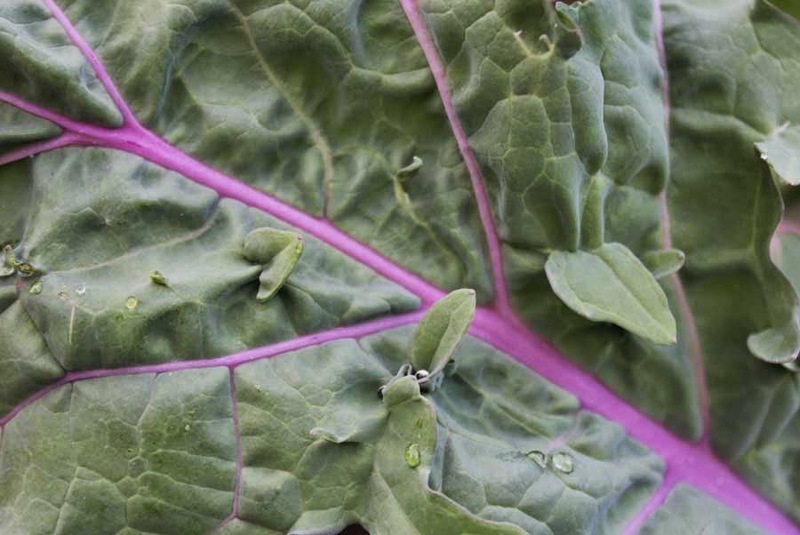 It's the question we always get when a new gardener plants kale- how do you eat this stuff? Alicia Yang, Golden Gate Dietetic Intern at North Coast Opportunities, is here to help! She created these dynamic resources on kale for cooking classes she taught to Preschool classes while working with NCO this fall. And it's not all about kale, you can use the cooking ideas chart for other greens too. Similar greens you could substitute include Collards, Spinach, Chard, Beet and Turnip Greens- as long as it's dark and leafy, give it a try! Feel free to print these images off and share them with friends and family! This December brings great promise to Mendocino County! There's the welcome rain, of course. But there's also a new social movement afoot... a movement towards creating a culture of health and wellness. It's called Leaders for a Healthy Community. Over 40 service professionals (including professionals from health clinics, school gardens, family resource centers, afterschool programs, Health and Human Services, high schools, preschools, hospital foundations, teen leaders, and parent leaders) came together in both Ukiah and Willits for the first of 10 monthly Leaders for a Healthy Community meetings. The participants officially signed on as Health Leaders, committing to work within their organizations to implement health, nutrition and physical activity programming and policies, and committing to collaborate and form new health connections across the community. What a community treasure! The Health Leaders bring so much enthusiasm and experience to this work. All are dedicated to creating a community where health and wellness are front and center, where opportunities to eat well and be physically active abound. 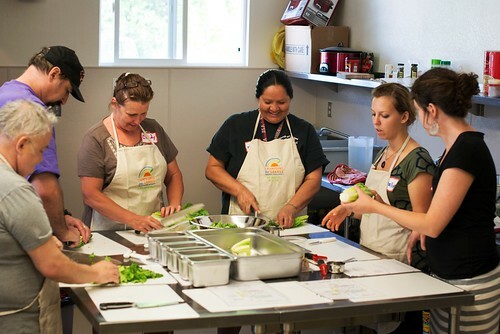 They are excited about sharing resources, learning more about nutrition education, promoting activity, building relationships across the community, and truly moving the dial towards greater health and wellness in Mendocino County. In the new year, expect to see "health happening here" as the Health Leaders roll out their programs and make presentations to decision-makers and governing bodies around Mendocino County. I was a twenty-year old bride eager to occupy the kitchen, even if I didn’t have a hot clue where to begin or what to do. Here I am, twelve years later with six hungry mouths to feed on a single income. My number one goal is to be healthy and not to go broke doing it. I write to you not as one with a lofty education, stellar credentials or a gourmet kitchen. I come simply because I want to people to know that eating healthy on a budget is not only possible, but enjoyable. Healthy eating and healthy money habits don’t happen by accident. Healthy choices are things we do on purpose to benefit our bodies, families and communities. Shopping on a budget and eating healthy meals are things that can’t happen unless we make a plan. find a few recipes. Call a friend, peruse Pinterest, check out a cookbook from the library. Find recipes that fit your budget and schedule, and write them down. make a menu. I plan my menu for two weeks at a time. I do this with my calendar in hand so I can see what is happening in life and what I need to plan meals around. You can do your menu for one week at a time or one month at a time, whatever you prefer. Arriving home late with hungry kids and no dinner plan is never fun. Planning ahead will keep you away from fast food and often prevents overspending. make a shopping list. I am a person that will go into a store and come out with $100 worth of condiments and a half gallon of ice cream if I don’t have a list. I will have a little of this and a little of that, which leaves me running to the store to get the one more ingredient I need for dinner. Then I buy another $80 worth of ‘good deals’... You get the picture. Take your menu and make a shopping list. Shopping lists save so much money if you stick to them. I was standing in line as the woman in front of me was checking out. The cashier rang up a bag of oranges. She was alarmed by the high cost and asked the cashier to check the price. He verified the cost and she shrugged as she put them in her bag. I had purchased the same produce at a different store twenty minutes before for a fraction of the cost because they were on sale. I knew this only because I had looked at the sale ads and made my list (and my menu) based on what was on sale. I understand this can mean shopping at more than one store, and for many that is a challenging task. There are days I do and days I don’t because life is always different. I will say however, that if you want to eat healthy and save money, the best option is to shop multiple stores to capitalize on the sales. Notice that I didn’t mention coupons. I don’t have an issue with coupons and I will use them as often as I can. Many times however, if you are not careful, coupons can cost you money. I will see a coupon for a product that I don’t typically buy, but because I am saving thirty-five cents, I clip it and spend the $3.25. Also, coupons are typically for name brand items when often, the generic brand, which is comparable in quality, is still significantly less. While this is not true for all coupon situations, be careful of coupons as you don’t always come out ahead. One of the first things I did when we got married was find women I could learn from. My friend Cristy had two children and a full-time student for a husband. She knew how to cook and she knew how to save. She introduced me to a simple concept that literally changed my life: stacking meals. I remember her showing up at my house with a whole chicken. What in the world are we going to do with that? I wondered. She explained the concept of boiling a chicken until it fell apart. We added the wilted celery and the forgotten onion from the dark corner of the fridge. We added the wrinkled carrot, a few bay leaves and enough water to cover the chicken. We turned it on medium and let it simmer itself to perfection. After letting it cool, we removed all the chicken, shredded the meat, discarded what was unwanted and transferred the broth to glass bowls to put in the freezer. I then planned two or three meals that used shredded chicken (chicken pot pie, a chicken salad, chicken soups...the possibilities are endless!) I also used the chicken broth for recipes calling for chicken broth. The first time I got three meals out of a $4 chicken, my life was forever changed. Watch for sales on whole turkeys, hams or chickens. Roast, bake or boil. You can freeze what you don’t use right away if you want more diversity in your menu than eating chicken for three nights straight. This works for veggies too! If you enjoy basil, but find basil to be expensive, buy it and plan several meals that call for basil. This concept works with any ingredient. As I navigated the aisles of my local grocery and writing this article in my head, I was asking myself what I did differently than others that allowed me to feed a family of six on a meager budget. I observed other carts and other shopper’s choices and there was one major difference I saw: I don’t buy snacks. Boxed ones that is. I don’t buy soda or pre-made beverages. I don’t buy the pre-made pot stickers or expensive microwave popcorn. I buy a limited amount of breakfast cereals and avoid things like breakfast bars and instant oatmeal packets. These things add up really, really fast. These choices are often high in sugar, sodium, hydrogenated oils, high fructose corn syrup and more. Purchasing a bag of old fashioned popcorn kernels and popping them in your own pot at home is much healthier (you choose the amount of oil you add) and so much cheaper! It only takes a few minutes longer. Pop some extra and put it into small containers for an easy snack or lunch addition. Cheap and healthy. We have a saying on our house: If you’re not hungry enough to eat an apple, you’re not hungry. Snacks are not only expensive, they are often unhealthy. Take a bag of baby carrots for example. A bag of baby carrots will sell for around $2 while a bag of chips or box of crackers will cost $3 or more. Not only will the carrots benefit your body, brain and waistline, they will also benefit your checkbook. Save your money, boost your health and avoid the junk-food aisles. I understand that being healthy, making a plan and shopping multiple stores require more than intentionality, they require time. I understand that cooking a balanced meal and having healthy snacks available for growing kids with busy schedules requires a lot of time. Because I understand this, I not only plan ahead, I make ahead. Take a Saturday morning or a Wednesday evening to brown meat, chop veggies, make granola (super easy!) or shred cheese. Purchasing things like pre-made bacon or shredded cheese only adds cost to the product and often sacrifices quality. Spend less and purchase the block of cheese or the pound of bacon to prep ahead of time and freeze what you don’t plan to use right away. You can boil a dozen eggs, peel them and put them in a well-sealed container. They will keep several days in the fridge. Easy snack. Healthy breakfast. Buy a five pound bag of carrots and a bag of celery. Wash, peel and chop. Place them in a container, add a little water (to avoid drying) and just like that, you have a vegetable side for dinner, a lunch addition or an easy snack. Healthy and usually less than $5. Plan ahead by planting a vegetable garden -- in containers on your porch, in a small patch of soil, or in a community garden. A few weeks or months later, you'll reap the benefits in extra veggies for meals and snacks. Thinking ahead and acting ahead is a huge stress reliever. It will not only save you money, but you will stay healthy in the process. Here’s to saving money and eating well! 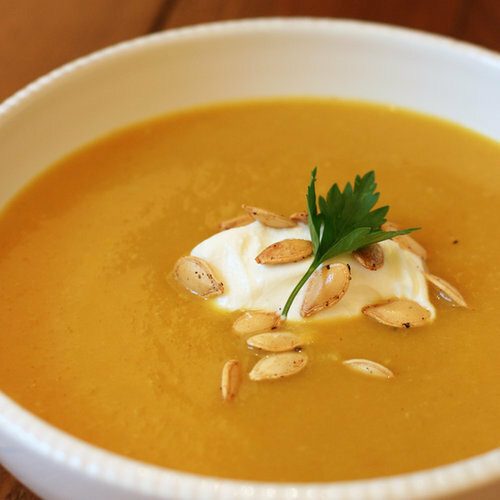 Spice Up an Autumn Evening with this Seasonal Soup Recipe! Visit your local Farmers' Market and pick up some pumpkins or squash to use in this healthy and delicious recipe! This soup is perfect for fall. It’s as elegant as it is flexible: pick a squash, any squash; substitute white beans for chicken to make it vegetarian; play with the spices and proportions to get the flavor and consistency you prefer. However, unless absolutely necessary, do not leave out the fish sauce! 1. Cut the chicken into strips and boil until cooked (about 3-5 minutes, depending on thickness). Drain and rinse with cold water, then shred. Set aside. 2. Meanwhile, cut the pumpkin or squash into wedges. Scoop out the seeds and reserve if you're roasting them - incidentally, these same spices make for great roasted seeds! It’s up to you if you want to peel the pumpkin before or after cooking. 3. Arrange the slices flesh-up in a casserole dish. Sprinkle with curry, cumin, masala, cinnamon, and salt, rub with olive oil, and pour about one half-inch of water into the casserole dish to create a steam effect. Roast at 375 for about 40 minutes or until a fork goes in easily. 4. Peel the pumpkin if you haven’t already. In a food processor or blender, purée the cooked pumpkin with the garlic cloves, coconut milk, ½ cup broth, and fish sauce. 5. In a large soup pot, sauté the onions on medium heat in a tablespoon or two of olive oil with a generous dose of curry and a sprinkling of all the other spices. 6. Once the onions are translucent, add the shredded chicken and ½ cup broth; bring to a simmer. 7. Add the blended mixture and let cook for 30 minutes, stirring occasionally. Add more spices/salt/pepper as desired, plus more broth if you like a thinner soup. 8. Serve with crusty bread and a dollop of yogurt or sour cream, plus a drizzle of hot sauce or squeeze of citrus to brighten the flavors. This soup also freezes beautifully if you somehow manage not to eat it all! Looking for more cooking inspiration? Click here for past recipes from the Real Dirt Blog! 1. Begin by peeling and slicing shallots lengthwise. Add to a medium heat sauté pan with 1 teaspoon olive oil. To promote caramelization add ½ teaspoon cane sugar (optional). Sauté shallots for 8 – 12 minutes, stir sparingly. 2. While shallot sautés pull Kale leaves from stem. Pull from bottom up, leaves should free themselves easily. Rinse leaves with cold water. While leaves dry, prepare Za’atar dressing. Combine lemon juice, Za’atar seasoning, tahini, olive oil, salt, and pepper. Whisk ingredients together. 3. Shave carrot into strips with a vegetable peeler. Rinse and drain cooked garbanzo beans. At this juncture salad can be served hot or cold. Toss kale with dressing, carrots, and beans; then top with shallot. Or add to sauté pan warming everything through; dress last. Autumn is bursting with ripe vegetables—and some not-so-ripe ones. Place tomatoes (cut side down) and garlic cloves on sheet pan, and place under broiler for 5-7 minutes until skin on tomatoes starts to turn black, or roast for longer at a lower temperature. Combine roasted tomatoes and garlic (after removing the skin from the cloves) with remaining ingredients in a blender and pulse until combined, or chop and mix by hand. Add salt to taste. Infused Water... tasty, beautiful, easy, and creative! Five local judges spent their Saturday morning sipping infused water blends from over 17 entrants. A special thank you to our judges, Anne Molgaard of FIRST5 Mendocino, Chris Dewey of the Ukiah Police Department, Jill Santos -- Miss Mendocino County, Katrina Frey -- Winery and Caterer, Doug Crane -- Ukiah's Mayor (not pictured). And, a key part of the event was a "people's choice" award determined by farmers' market folks who took the time to sip and choose their favorites. Anne Molgaard as "Potter the Otter"... she LOVES to drink water! Did you miss the taste-off? Want to offer a tasty infused water at your next family gathering? How about volunteering to bring one of the winning recipe blends to your child's classroom? These recipes can be in your fridge every day, or pulled out for special occasions. Savings Bank of Mendocino County's winning recipe for "Tropical Infusion"
Uncorked Wine Bistro's winning recipe for "Jamaican Me Refreshed"
Add coconut, coconut water, pineapple, ginger, and jalapeno peppers to a gallon pitcher filled with water and ice. Refrigerate overnight. Replenish ice if necessary when serving. Taste Buds Restaurant's winning recipe for "Early Summer Days"
Ukiah Boys and Girls Club's winning recipe for "Pi-Wa-Mi"
NCO's Hands On Volunteer Network's winning recipe for "Peachy Keen"
CHEERS! Drink water for the health of it. This rustic pasta recipe has the feel of coming directly from a kitchen garden behind your very own Tuscan Farmhouse... from your community garden plot... or from the CSA basket you just picked up from your local farmer! It's simple... start with an olive oil sauté with onions. Add chopped greens (I used chard and beet greens), minced garlic, chopped veggies (I used snap peas), and cherry tomatoes (I used the last batch of frozen tomatoes from last year's garden). Sauté until tender, then remove from heat. Season with salt, pepper, a squeeze of lemon, and stir in chopped, fresh basil. Serve over your favorite pasta... enjoy! Although it can be difficult to get kids to try new foods and limit their screen time, it is possible. 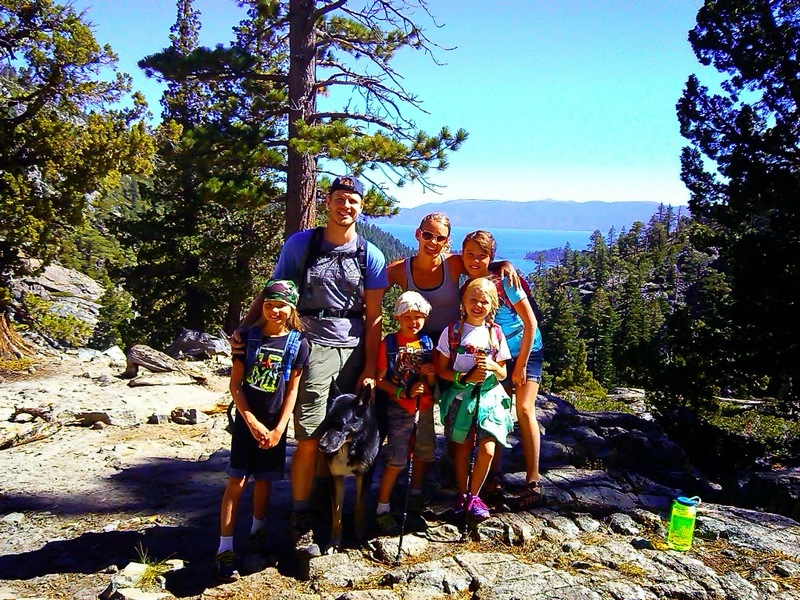 Here are some practical tips for keeping your kids healthy. 1.Get more fruits and veggies into breakfast, lunch, and dinner. Whether it’s fresh, frozen, dried, or canned, it’s important to get a serving (or even just one bite if you have a picky eater!) of fruits and vegetables with EVERY meal. Aim for working towards making half their plate fruits and vegetables. 2.Kick the can, and the pouch. Sodas, sports drinks, and drink pouches are loaded with sugar. Help your kids choose water instead of sugary drinks by putting a pitcher of water in the fridge… that makes the healthy choice the easy choice. 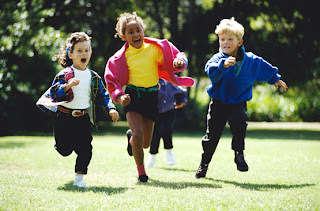 3.Start having “recess” at home. You don’t have to make big changes to your family’s day. Just take 10-minute activity breaks here and there during the day. As exercise becomes a habit, add more time. Homemade Turkey Sausage Breakfast Sandwiches and Sweet Potato Hash started off the second session of COCER (Community Organized Cooking and Edible Resources) last Tuesday. COCER is a pilot cooking class held at the Buddy Eller Center of the Ford Street Project. The impetus for the project is teaching healthy recipes and cooking techniques to those living in transitional housing at Ford Street. In the first session, participants enjoyed tasting new foods like kale, chard and fennel, and experimenting with healthy alternatives and learning new tricks in the kitchen. The first session was a series of four classes, meeting once a week. During one of these classes, the group took a trip to the Ukiah farmer's market, where they learned about the Food Stamp Match program and purchased produced to make hearty Spring Veggie Quiche with Fruit Salad. The classes are taught by three AmeriCorps members serving in the community (Natalie Loots, Lucy Shapiro and Jessica Ohland). These three have enjoyed the successes of the first session and are excited to continue the class!